Let me ask you a question regarding past financial investments in your team and/or practice. Have you EVER increased your original investment by 18 TIMES in just ONE YEAR? 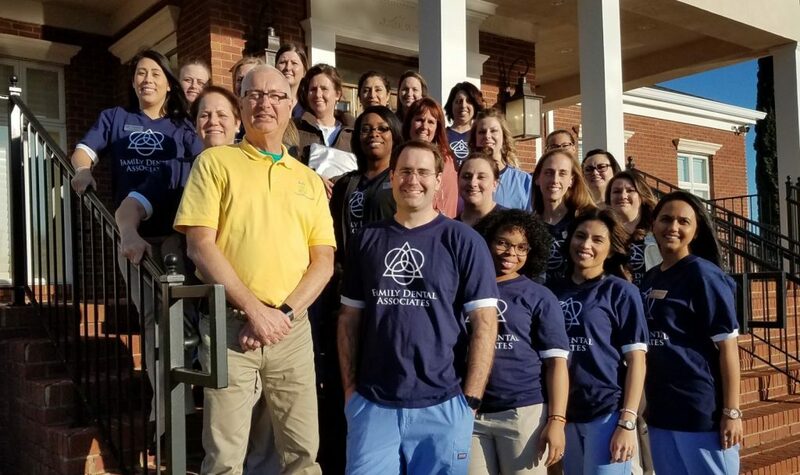 Well if your answer is not only NO but that seems almost impossible, I challenge you to see how the AMAZING team of Bell Dental Associates from Warner Robins, GA is doing just that! The 9 months progress table below is just one indicator of how this team is truly growing by “working smarter not harder” and it is paying off BIG time! Not just financially, but more importantly…improving the health of their patients! 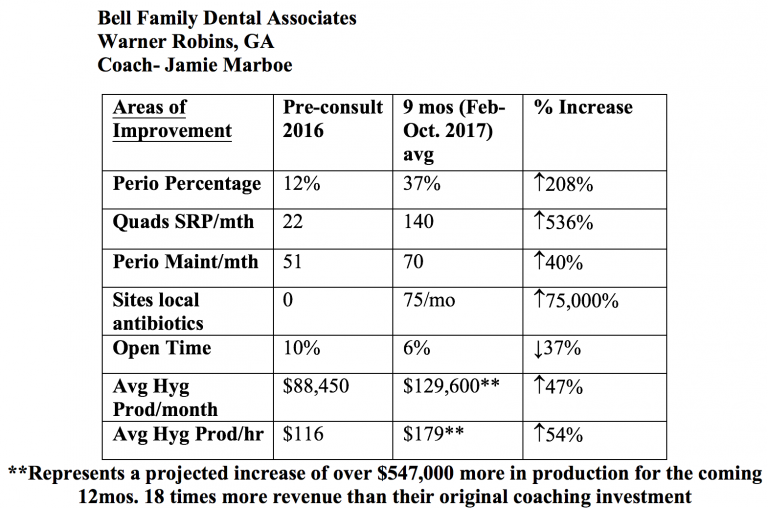 If you would like to see your potential and investment in your team grow exponentially, give Inspired Hygiene a call and let’s get started! Take two short minutes and listen to this Inspired Hygienist’s experience!! If you have thought about working with IH…now is the time to contact us to set up training for 2018 and make it your best year ever! Just click this link or call Margo at 877-237-7230 to set up your complementary ’Get Acquainted Call’! Novembers’ Hygiene Profits Mastermind guest, Amber Young, is not only a lovely young woman, she’s also an oral cancer survivor. Join Amber and myself and hear her incredible story of hope and survival. 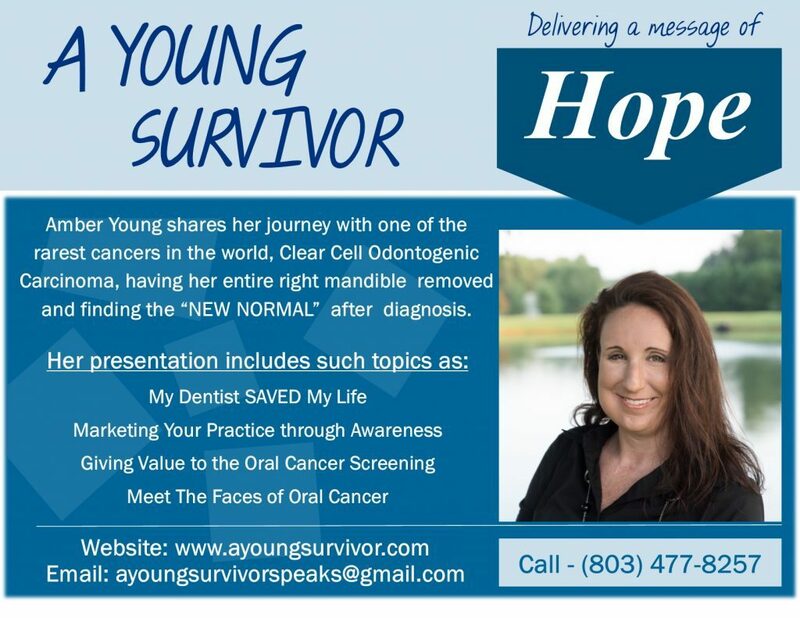 You will not want to miss this webinar and the chance to learn more about oral cancer and how you can get involved and share Amber’s message of hope! I’ll see you on the webinar. 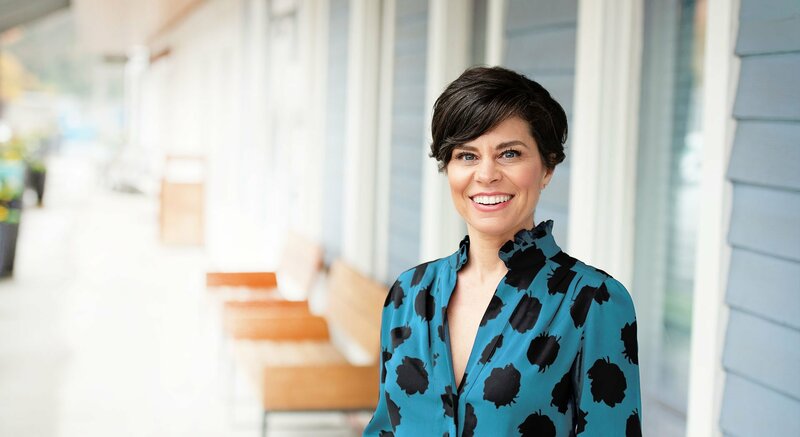 Amber Young shares her journey with one of the rarest cancers in the world, Clear Cell Odontogenic Carcinoma, having her entire right mandible removed and finding the ‘new normal’ after diagnosis. Amber Young, is a 37 year old home maker, and mother of two. That has not always been the case. She had a very lucrative career as a retail manager at a fortune 500 company and spent many years climbing the corporate ladder. In February of 2015, approximately 2 1/2 years since her previous dental exam, she was offered and accepted an oral cancer screening and that was the exact moment her life changed forever. Amber was diagnosed with the rarest oral cancer in the world, Clear Cell Odontogenic Carcinoma. And after a long, complicated, and humbling journey, Amber has been given a new lease on life, and she plans to spend it raising awareness on Oral Cancer, early detection, and ways to cope with the diagnosis. This call will be available in our Mastermind Library on Thursday, November 16. If you’re not already a member of our Mastermind group, click here to sign up. I realize that even though you may have followed us for years, you may not know exactly what we do for our private clients. I recently created a short video to share just that. In this 4 minute video you’ll see some REAL LIFE dentists and hear their personal experience working with Inspired Hygiene. If you’d like to get your entire team on the same page to increase Hygiene Systems, Services and Profitability, I’d love the chance to talk with you and see how we can help.